Summer is about a minute away, and with that, all you graduating seniors must be getting pretty excited over the new start that the college experience has to offer. This new beginning can mean so many things for each and everyone of you, as college provides the opportunity to finally get out of the beloved bubble of San Clemente, meet new people, try new things, and most importantly go SHOPPING for dorm decorations and necessities. So, as you head to the drawing board to create your new space, take into consideration these three (and a half) must-haves for your college experience. 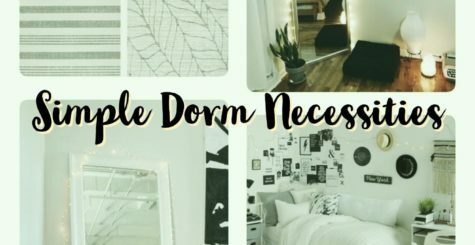 Whether you’re moving across the country or just have a forty-five minute drive from home, making your dorm as “roomy” as possible is pretty important. 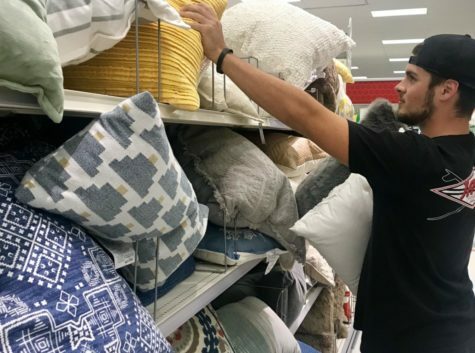 So with that said, I’d suggest that you head over to your closest Target, HomeGoods or any other department or online store and start raiding all aisles containing any kind of decor or maxing out your cards with online purchases (just kidding, we’ll talk budgeting in a minute). For example, throw pillows make the best kind of decoration- as senior Jessica DeCollibus stresses, “they’re fun, simple, and perfect if you want to add a pop of color to your dorm.” Also, if you wanna exceed all expectations set by Pinterest, make sure to check out urban outfitters, society6, or amazon to order the perfect tapestry or string lights for [somewhat] reasonable prices. Most importantly, make sure you and your roommate(s) have fun decorating and making the space your own. Although this is a little less fun than picking and choosing perfect pieces to satisfy your dorm aesthetic needs, budgeting might just be that one necessity that you should consider the most. Don’t get me wrong, shopping can be fun and all, but that’s just until your card gets declined. So, a word of advice would be to set up a savings account strictly for your basic everyday needs, this way you have money allotted for groceries, toiletries, and utilities. Then, try to set aside money that goes towards your textbooks and all the technology and devices that you may need along the way. Also, with the greatest amount of caution, open a credit card in your name to start building up credit. This will increase chances of large purchases after college but more importantly, limit interest rates for your student loans. Speaking from the experience of going through all the banking procedures, a better alternative to opening your first credit card, is to create one that is secured, this way you can’t exceed a certain amount before paying it off and building your credit – try asking your bank whether or not you’re able to create a secured visa account and if you have the time, look into and make sure to do your research! Now try doing all of this, while managing to maintain a fun lifestyle of going out with friends and shopping in your free time… Speaking for myself, this kinda seems almost impossible. This may not be a necessity to all, but as a suggestion, I’d recommend investing in a coffee maker or keurig to help out with the long stressful nights of studying. If you’re not a fan of coffee, energy drinks are cool too. 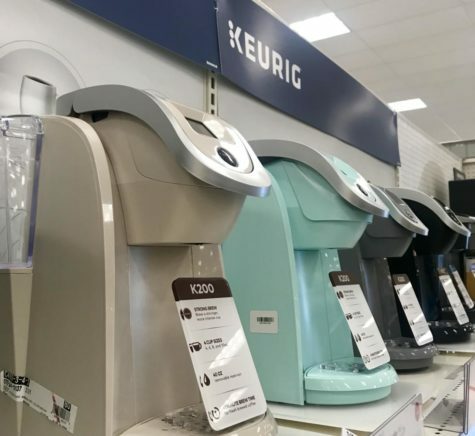 However, Keurigs may or may not add to the aesthetic of your dorm (plus, you could use it in so many ways… for example, if you need hot water for tea or to put lemons in to make some detox water). In all honesty, the decision is yours. Caffeinated or not, you’re bound to do great! Preparing for college is a very difficult and exciting time for you and your family. However, knowing what you want for decorations is key in order to help you prepare smoothly. First knowing your theme and or colors is the most important part to help you prepare for college. Most people are scared to leave high school and go to college. This article provides information needed to make dorm life a happy life. Even though having a pretty dorm is cool you need to think about budget and can’t waste all of your money.